So Edward Snowden has admitted that he was no low-level functionary but “trained as a spy”. In so far as he admits that he “lived and worked undercover … pretending to work in a job that I’m not”. We reserve judgement on whether he is all he claims to be but it’s a telling admission and one that begs the question: is he still “pretending” today? Has a man so highly trained in the ways of subterfuge and deception entirely dispensed with his training? Is he still trying to deceive? Or has he simply assumed a new disguise: that of a whistleblower who his exposing worthless information as a distraction? Has he in effect become an agent of disinformation? 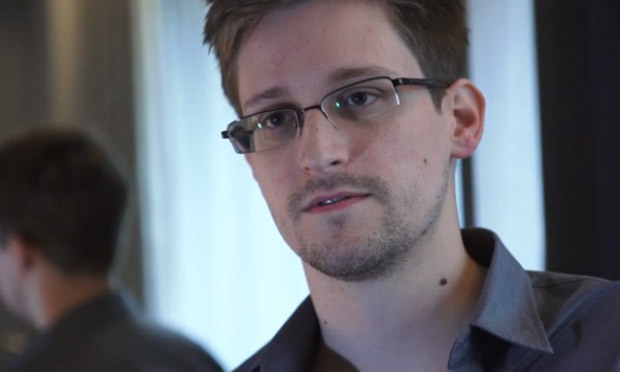 We ask because according to recent reports Snowden is “considering” returning to the U.S.. He wouldn’t be doing that if his disclosures had inflicted any serious damage on America’s intelligence apparatus. All of which adds weight to claims by former U.S. Intelligence personnel that Snowden’s disclosures have the hallmarks of a “counter-intelligence operation“. NSA whistleblower Edward Snowden has hit back at claims made by the Obama administration that he was merely a low-level hacker and has claimed that he worked undercover for both the CIA and the National Security Agency. ‘I was trained as a spy in sort of the traditional sense of the word, in that I lived and worked undercover overseas – pretending to work in a job that I’m not – and even being assigned a name that was not mine,’ he told NBC News in his first interview with a U.S. TV network. ‘I don’t work with people. I don’t recruit agents. What I do is I put systems to work for the United States. And I’ve done that at all levels from – from the bottom on the ground all the way to the top,’ he told NBC’s Brian Williams. Last year, when Snowden began leaking details of NSA spying programs and left the country, administration officials played down his work history, using descriptions such as ‘systems administrator’ to describe his role at the agency. ‘So when they say I’m a low-level systems administrator, that I don’t know what I’m talking about, I’d say it’s somewhat misleading,’ he said. After leaving the government, Snowden continued his intelligence work for the NSA as a private contractor, including stints in Japan and Hawaii. While in the Aloha State he downloaded an estimated 1.7 million files before fleeing first to Hong Kong and then to Moscow. He has been charged with espionage and had his U.S. passport revoked. Snowdon was interviewed in Moscow last week. An hour-long special will air on Wednesday at 10 p.m. ET. The exclusive interview is the latest media appearance by Snowden, following a videolink speech at the South by Southwest Interactive Festival, a TED Conference in March and an interview in Vanity Fair’s May issue. Also appearing on the NBC special is Glenn Greenwald, the Pulitzer prize winning journalist who broke the NSA surveillance story in the Guardian. Snowden’s interview comes after the House moved the U.S. closer to ending the NSA’s bulk collection of Americans’ phone records last Thursday. It is the most significant demonstration to date of Snowden’s impact on the debate over privacy versus security. But the final version of the legislation, ‘watered down’ in the words of one supporter, also showed the limits of that impact. The bill was severely weakened to mollify U.S. intelligence agencies, which insisted that the surveillance programs that shocked many Americans are a critical bulwark against terror plots. The bill was approved 303-121, which means that most House members can now say they voted to end what many critics consider the most troubling practice Snowden disclosed — the collection and storage of U.S. calling data by the secretive intelligence agency. But almost no other major provision designed to restrict NSA surveillance, including limits on the secret court that grants warrants to search the data, survived the negotiations to get the bill to the House floor. And even the prohibition on bulk collection of Americans’ communications records has been called into question by some activists who say a last-minute change in wording diminished what was sold as a ban. Though some privacy activists continued to back the bill, others withdrew support, as did technology companies such as Google and Facebook.